MetroRail/Milwood Bus Changes | Milwood Neighborhood Assoc. 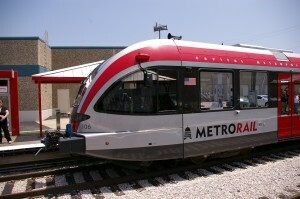 As of today, January 18th, 2011, Cap Metro has made a significant number of changes to Austin service. Most notably, MetroRail service now runs all day between Lakeline and Downtown Stations 6 am to approx 7:30 pm, Monday through Friday. You can get additional schedules and maps or plan your next trip. Free parking is now available at the Kramer Station on the street at Brockton Drive, which is the street parallel to the tracks at Kramer Station and just before you reach the station itself. This free parking is available on Brockton from Kramer to the curve of Brockton only and is on a first come, first served basis without time limits. Now you can feel free to meet friends or family for lunch or coworking around town, take the kids to the Austin Children’s Museum, the lake, or a downtown park without the hassle of MoPac traffic or downtown parking. The Regional Day Pass, which covers 24 hours from the purchase time of the ticket, includes all the MetroRail and Bus service you need. Other passes are available as well and are listed here. The previous 240 bus route with two stops on Amherst has been rerouted. Now the more commuter-friendly 142 bus, or Metric Flyer as it is commonly known, serves the Milwood neighborhood. For additional information not covered here, visit the Cap Metro web site. This entry was posted in Announcements, MetroRail, Milwood News, N Burnet Gateway, Regional Development. Bookmark the permalink.